Maiden edition of the independent film festival, Silver State Film Festival, to be held in Las Vegas between the 6th and 9th September 2018. Las Vegas, NV, September 06, 2018 --(PR.com)-- Silver State Film Festival is an event organized to celebrate independent films and filmmakers from all parts of the world, highlighting local and international filmmakers and promoting the entertainment industry as a whole. The maiden edition of the event is scheduled to be held at the Orleans Hotel and Casino from September 6 to 9 with events starting on the 5th. The Festival will be screening over 150 independent films. More information about the Silver State Film Festival can be found on their website. The Silver State Film Festival is also available across several social media platforms including Facebook, Twitter, Instagram, and YouTube. Silver State Film Festival is an independent film festival held in Nevada. The festival will be held in different parts of Nevada, with the aim of highlighting local and international filmmakers in high-quality screening environments throughout Nevada. 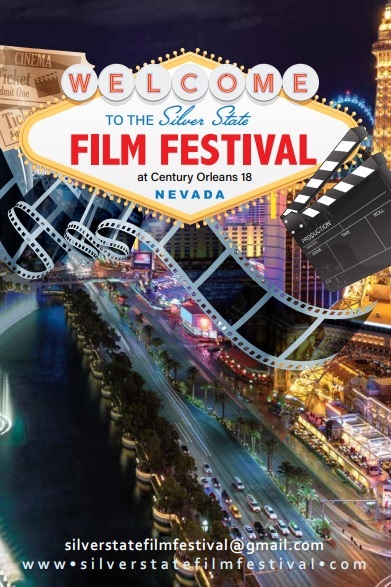 Silver State Film Festival will be providing a platform for the independent film community and filmmakers while also promoting Nevada as a primer entertainment detestation, and film production center.